PETALING JAYA: Malindo Air, which is due to take delivery of its first turboprop aircraft by the middle of this month, should begin services from the SkyPark terminal in Subang by mid-June, if it gets the necessary approvals. The plan is to use Subang as a feeder hub for its jet operations anchored at the KL International Airport (KLIA). It would initially have at least half a dozen turboprops to ply domestic routes and destinations in southern Thailand and northern Sumatra. “Any route that falls within the two-hour flying radius would be operated from Subang, while anything beyond that would be operated by its jet operations from KLIA,” a source said. Approvals are expected at the end of May, while ticket sales will open in early June. 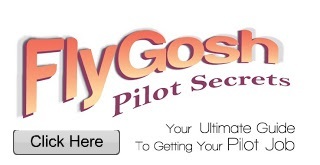 Upon obtaining its first turboprop, the new low-fare airline will conduct trials for the necessary approvals. 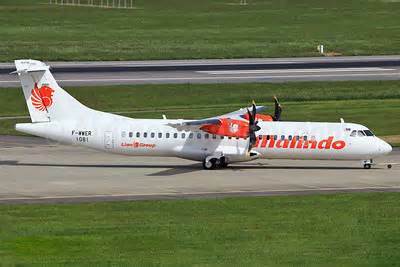 Sources said Malindo did not need a new air operator's certificate (AOC) as the turboprop operations would be added to its existing AOC. “The feeder service is important to its operations,” a source said. Malindo Air may be operating from Subang Skypark Terminal by mid-June if everything goes smoothly. A turboprop can seat 72 passengers and best serves routes under two hours. Malindo should be getting the aircraft allocation from Lion Air, which in February ordered 27 ATR 72-600. The aircraft were meant for Lion unit Wings Air, which operates rural air services within Indonesia. For now, Malaysia Airlines unit Firefly and Berjaya Air operate commercial air services from Subang SkyPark. AirAsia Bhd's major shareholders, Tan Sri Tony Fernandes and Datuk Kamarudin Meranun, had earlier planned to set up a business airline, Caterham Jets, to operate from Subang to serve the Asean region to destinations like Bangkok, Jakarta and Singapore. However, it is not clear when the venture would take off. Malindo is a 51:49 joint venture between Malaysia's National Aerospace and Defence Industries Sdn Bhd and Indonesian's PT Lion Group, which owns the largest privately owned airline Lion Air and Wings Air. A third airline to be launched by the group in Indonesia would be Batik Air. The Subang SkyPark plan is part of Malindo's expansion strategy in Malaysia. It began operating in the country on March 23, and a month later managed to carry 50,000 passengers by operating two aircraft (B737-900) to two destinations, i.e. Kota Kinabalu and Kuching. It is targeting more than 300,000 passengers by year-end, sources said. The airline will have 12 B737-900 jets by then. It will take delivery of two new B737-900 in June, two more in September and the rest before the year is out. Malindo Air has begun selling tickets for Miri, Sibu and Tawau for service in June. The airline will also begin plying international routes in June and expects the Indian capital of New Delhi to be its first stop. Some other routes in south India will be added. “They have secured the slots for New Delhi and are now waiting for approvals from the Indian authorities,” said the source.